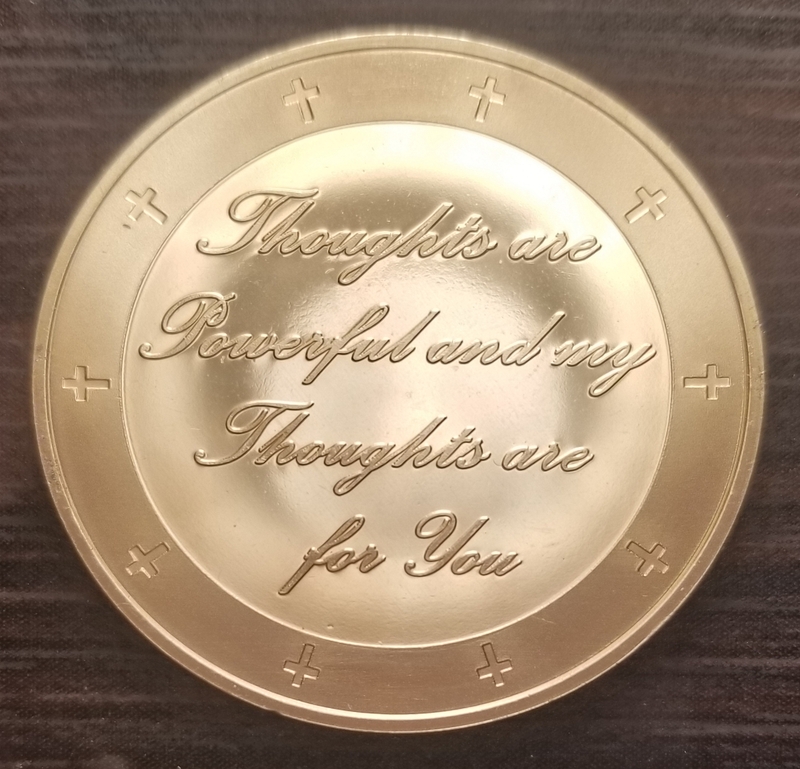 The Second Brass Peace Coin. 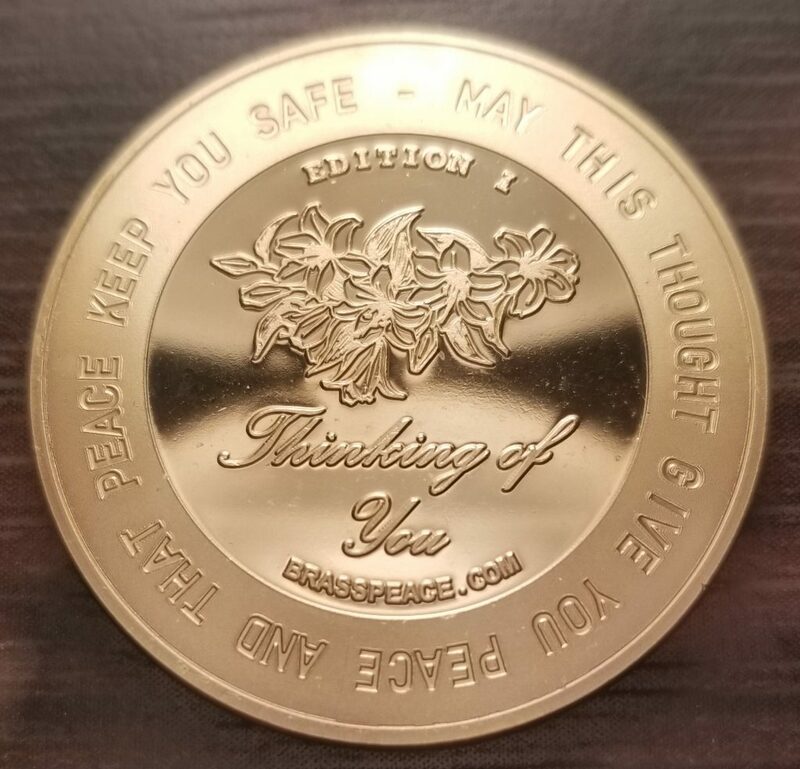 This is the second coin Brass Peace is sending to U.S. Troops overseas (on the behalf of many U.S. citizens). 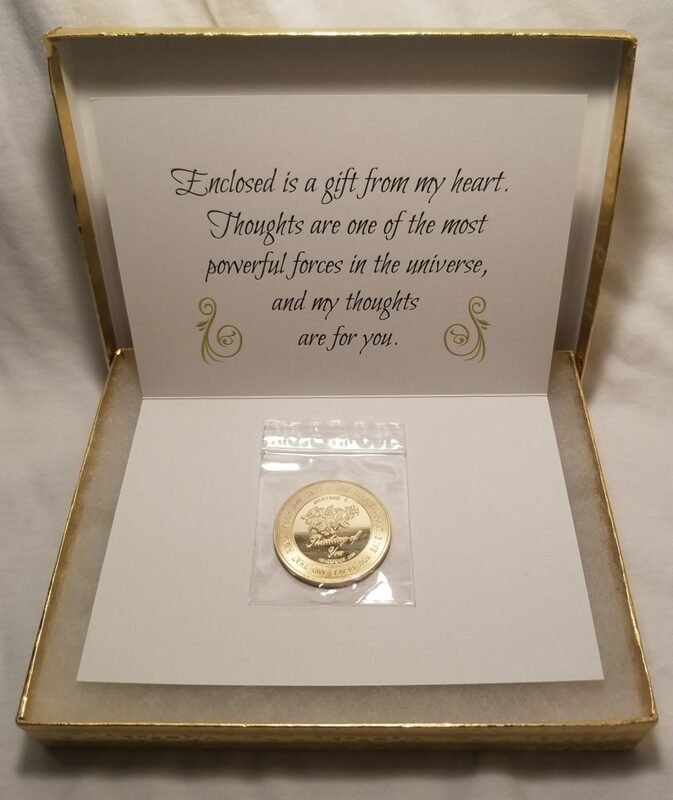 It has a much better quality and larger diameter than the first coin. At least Half of this edition will be sent to U.S. Troops overseas as a gift. Proceeds will be used to fund materials, advertising, etc... for letter writing events held at restaurants throughout the United States. People can enjoy writing the Troops while waiting for their food! Looking forward to creating thousands of moments of Heaven on Earth. Center image: Bellflowers - (a perennial) representing perennial love ~ lasting forever. Perimeter image: Ten stars representing the ten crewmen aboard the B-17 bomber Michael’s father (Sergeant Frederick Kirchhubel) flew in.